Little Wymondley is a village situated between Hitchin and Stevenage in Hertfordshire, England. 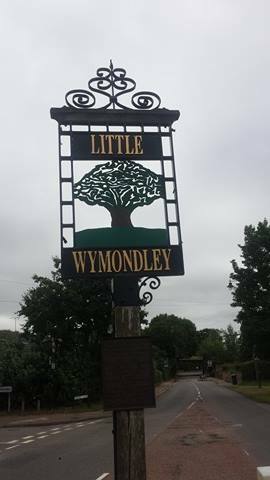 Paradoxically, it is larger than its near neighbour Great Wymondley. It has several interesting houses, including the moated Bury of the 16th and 17th centuries, the fine 17th century Hall, the late Georgian Wymondley House, and Wymondley Priory, an early 13th century foundation turned into a house in the 16th and 17th centuries.